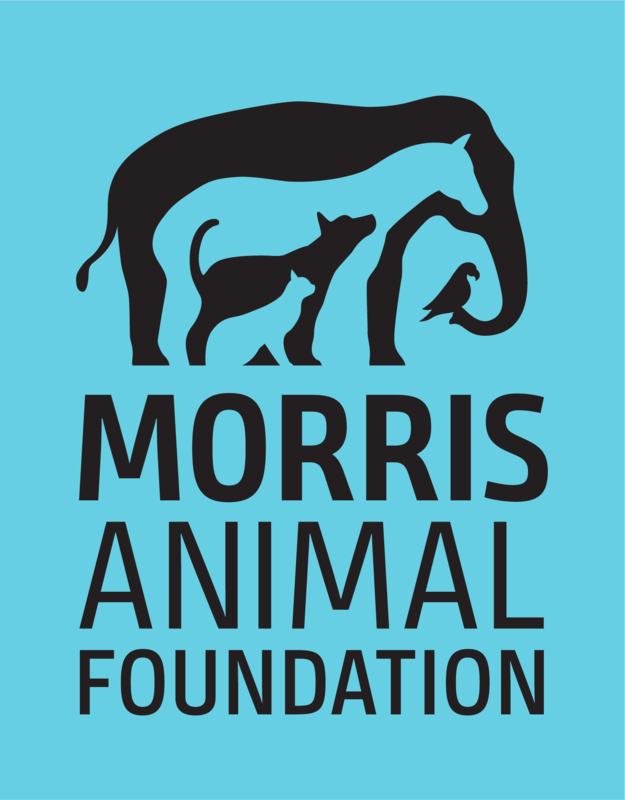 At Morris Animal Foundation, we work every day to improve and protect the health of animals through scientific innovation, education and inspiration. We are committed to fighting animal diseases worldwide in species ranging from cats and dogs to horses and alpacas; amphibians and wildcats to anteaters and tigers. Read on to take a deep dive into how the Foundation is addressing critical areas of animal health research such as pet aging, shelter medicine, endangered species and more. Since 1965, Morris Animal Foundation has invested $24 million in more than 600 wildlife health studies, many of which focus on endangered species. While it is known that these animals face multiple threats such as climate change, poaching and habitat destruction, our Foundation is dedicated to combating lesser-known but equally important challenges. Morris Animal Foundation is dedicated to advancing the diagnosis and treatment of canine osteosarcoma, the most common type of malignant bone tumor in dogs. While safe and effective treatment options are available to treat the primary cancer, metastatic disease condemns most dogs to death within two years of diagnosis. Better treatments are desperately needed to slow or stop metastasis. Growth in the senior pet population has seen a corresponding increase in demand for geriatric veterinary medicine. Older pets mean coping with age-related health problems, including cancer, arthritis, diabetes, kidney disease, neurological conditions and other health concerns more common in older animal patients. Morris Animal Foundation funds shelter medicine health studies so more animals receive the best healthcare and a chance at a full, healthy life. Wherever an animal lives – in a foster home, in a shelter or in our neighborhoods – we are here funding the best science to improve the health and well-being of underserved animals everywhere. For 60 years, Morris Animal Foundation has funded scientists around the world to find solutions to pressing equine health issues. We help horses from all walks of life, from sporting horses to pet horses to wild horses. The Foundation has funded research to find ways to save the lives of cats diagnosed with feline infectious peritonitis (FIP), a fatal viral disease. FIP continues to be one of the most prevalent and complex feline infectious diseases worldwide, without any definitive diagnostics, treatments or preventions. It also is a threat to both domestic and wild cats. But we are here to change that.